We have installed a new theme on Sites@UCI called Pinboard. 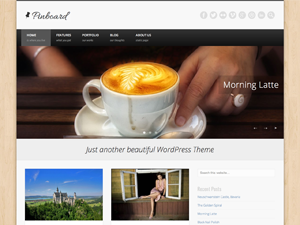 Pinboard is an elegant theme that uses responsive design for use on mobile devices. This theme has many custom options including font selection and custom CSS for extended display options. We’ve included a few tips to help you get started. Pinboard works well for blogging sites, but will also work with a static home page. You may want to try the “Landing Page” template with a static home page. Social Media links for Twitter, Facebook, Pinterest, Flickr, etc. You can add a small description that can be displayed below each menu item. To use this feature, go to Appearance > Menus, expand the menu items and type in your description in the field called “Title”. This theme supports the built-in featured image functionality. This will display a featured image as a thumbnail in your display of Posts. To use this feature, upload an image and select the image and click the “Use as Featured Image” link. The slider displays “sticky” posts. To add a slider, create your Posts and make them “sticky”. 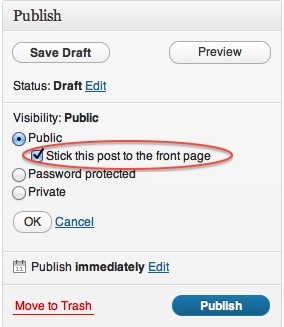 This is available under the Visibility options in the Publish box of your Post. Make sure to add a featured image if you want the slider to display an image instead of just the text of your Post.